In 1951, United Grain Growers constructed a 35,000-bushel wooden grain elevator at the Cawdor siding on the CNR Oakland Subdivision, in what is now the Municipality of WestLake-Gladstone. 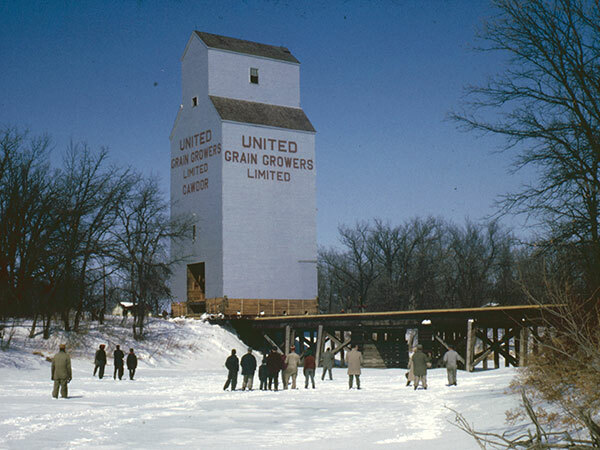 Grain volumes shipped from the elevator did not meet the company’s expectations so, in 1964, it was moved to Westbourne, the first time that a UGG elevator was moved intact rather than being demolished and rebuilt. Canadian National Railways Map, Cawdor, 1952.